The Austrian lender warned of flat revenue next year, despite its presence in fast-growing European economies. Fast deposit growth cut Erste’s loan margin by 5 pct in the third quarter. The bank’s valuation was too rosy, but investments in digital should eventually bear fruit. Shares in Erste Group fell as much as 7 percent on Nov. 4 after the Austrian bank said revenue next year would be flat "at best". Erste reported third-quarter earnings of 337.4 million euros, which beat an average forecast of 340 million euros in a Reuters poll of analysts. The Vienna-based bank confirmed its return on tangible equity guidance of over 12 percent for this year, but said it was targeting 10 percent or more for next year, and warned of cost inflation of between 1 and 2 percent as it shifts to digital products. The lender recorded a big quarter-on-quarter growth in corporate deposits in the Czech Republic, Slovakia, Romania, Hungary and Croatia. 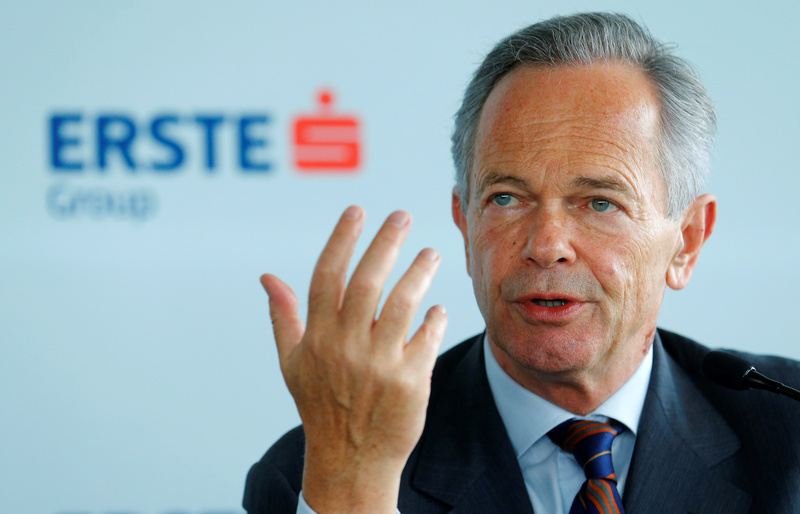 That contributed to a reduction in Erste's loan to deposit ratio to 96 percent from 98 percent at the end of last year. However, it said that its top line would not improve next year assuming it grew loans at 5 percent. By 0911 GMT shares in Erste were trading at 26.65 euros, down 5 percent from the previous day's close.